Blue Jays starter Marcus Stroman‘s plate is full, and he couldn’t be happier about it. In addition to his daily workouts, Stroman’s clothing line continues to grow, and he has plans to launch a new fashion blog called “Fresh Beyond Spikes” in the coming weeks. Tack on preparation for the World Baseball Classic and the 2017 regular season, and Stroman is a pitcher on the go. Stroman got the ball rolling on his HDMH (Height Doesn’t Measure Heart) plans in 2009 as a freshman at Duke University. The five-foot-eight native of Medford, N.Y., serves as creative designer for an apparel line that includes hoodies, T-shirts, tanktops and beanies. The business is run by his family members out of his Long Island residence. Fashion is a passion for the Blue Jays right-hander and could be something he takes to a higher level when his playing days are done. For now, the 25-year-old right-hander is locked in on getting ready for the upcoming season. Stroman said he “ramped up” his workouts this off-season and it has paid off. He added that the left knee he had surgically repaired in March 2015 is back to 100 per cent. 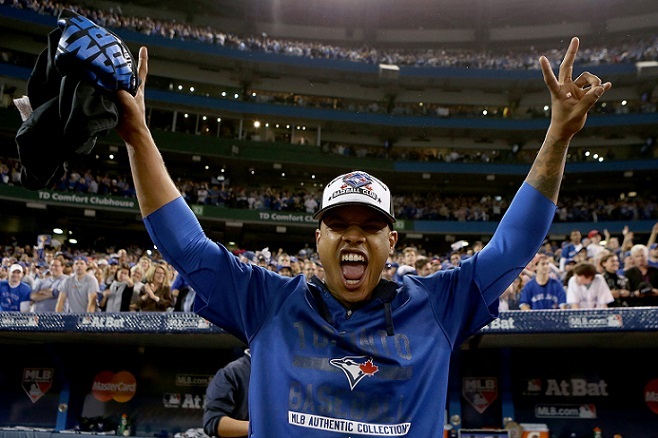 In 2015, Stroman returned to the mound six months after surgery to help the Blue Jays end a 22-year playoff drought. He was the Opening Day starter last year and worked over 200 innings in the regular season, posting a 9-10 record and 4.37 earned-run average over 32 starts. The resumption of his knee rehabilitation was a priority after the 2015 campaign came to an end. His off-season gym work has left his entire body feeling stronger. Stroman was joined by teammates Ryan Goins and Steve Pearce on the latest stop of the Blue Jays’ Winter Tour on Friday. The team also unveiled a new alternate red jersey, which will be worn at every Sunday home game this season and select dates in July. The return of slugger Jose Bautista was also a talking point during a half-hour media availability at Rogers Centre. The veteran right-fielder tested the free agent market before signing a one-year contract with the Blue Jays this week. “He’s taught me a lot about baseball on and off the field,” Stroman said. “He kind of took me under his wing. I remember one of my first starts in the big leagues, I remember him coming over and talking to me about tempo, talking about pitch selection. I’m always picking his brain about what to throw (to) guys. He’s the first guy that I go to because I feel like he has the best strike zone judgment out of anyone in the big leagues. The Blue Jays are coming off a second straight appearance in the American League Championship Series. Toronto was 89-73 last season and is expected to contend again this year. Notes: Stroman, who earned US$515,900 in 2016, said he’ll be going to arbitration with the Blue Jays. Toronto offered $3.1 million while Stroman’s figure was $3.4 million. … Stroman was also asked about online buzz that he and teammate Aaron Sanchez weren’t as tight as in the past. “We’re not as close, but we’re still friends,” he said. “I know everyone is speculating here and there. We’re still good.” … Bautista is scheduled to appear at a media availability Saturday at Rogers Centre. … The team’s Winter Tour made stops in Edmonton and Regina this month. … Spring training begins Feb. 14 at Dunedin, Fla. Which NHL Hockey team can lay claim to sharing a name with St. Patrick’s Day ? March 17, 2016 Christina Vixx Comments Off on Which NHL Hockey team can lay claim to sharing a name with St. Patrick’s Day ? 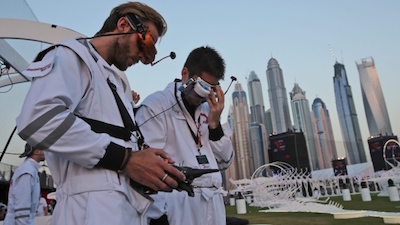 Are drones really the future of sport? March 13, 2016 Christina Vixx Comments Off on Are drones really the future of sport?